Balance on horses! Balance on the back of your horse or one handed with your legs in the air while the arena revolves! Turn the handle and watch the foor revolve. 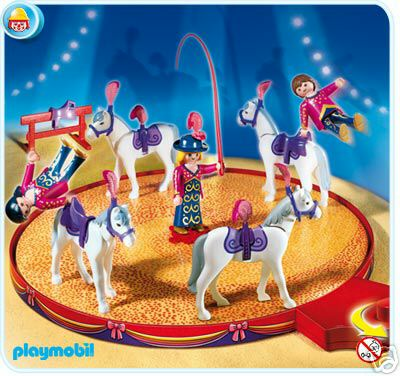 Features four horses with saddles that enable the Playmobil figures to hold on. Three figures also included.